This is my fifth installment visiting the bridges and structures of a great American river. This time we visit the bridges and dams of the Saint Louis River, which empties into Lake Superior in the twin port cities of Duluth, Minnesota and Superior, Wisconsin. The Saint Louis River is a river of contrasts. It is only miles between locations where the river is only a trickle to where the river supports ocean going ships. It is the same distance from where tiny country roads freely cross the river to where the bridges in the harbor are some of the most impressively large bridges in the nation. 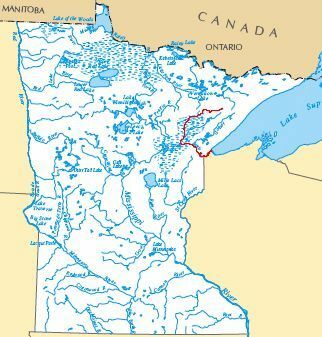 For over a century, the Saint Louis River was treated as little more than an international dumping ground and industrial sewer, earning it recognition for being one of the most polluted rivers in the nation. Nature is slowly reclaiming the river and repairing the damage, resulting in a river and its parks becoming a very popular tourist attraction. Status—this is a work in progress. While most of the pages are complete, a few of the railroad bridges and dams are proving to be difficult to get access to for photography. I hope to finish this project before the end of 2011.